expect more – every time. Fluctuating temperatures that you’re unable to predict or control can disrupt work, compromise productivity, and create discontent. 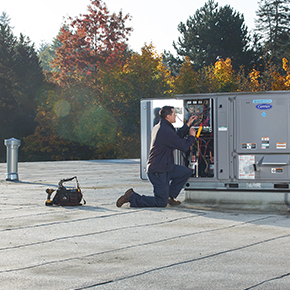 Based in Portland, Oregon, Reitmeier’s commercial HVAC service solutions are designed to bring balance, efficiency, and control to your environment – so you can worry less about your HVAC system, and more about what really matters. 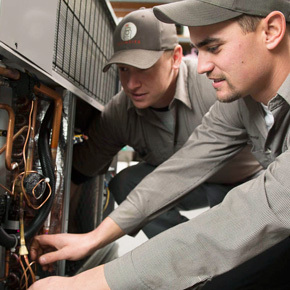 We go beyond the level of HVAC service that you expect. Reitmeier has been helping customers in the Portland, Oregon and SW Washington market select, purchase, engineer and install commerical HVAC systems for over 30 years. We believe in creating the right solution, the very first time. That means helping you choose the right HVAC system to meet your unique needs and motivations, and expertly installing it to prevent against avoidable service issues. Whether you’re looking to upgrade your existing system with expert system retrofitting and tenant improvements (TI), or you need to replace your commercial HVAC system all together, Reitmeier can show you the way. And if you’re purchasing HVAC for new construction, Reitmeier can deliver substantial cost and performance savings through our expert commercial HVAC design/build services. Want to learn more about how Reitmeier can significantly improve your HVAC installation or retrofitting project? Contact us today! When your HVAC system isn’t functioning properly, it can cost your business thousands of dollars in wasted energy costs. And when they go ignored or unnoticed, small issues can become serious and costly problems. At Reitmeier, we protect your investment by providing the right service solution for your HVAC issues, the very first time. Our cross-trained technicians can address any ailment and can service all HVAC equipment, regardless of brand or application. 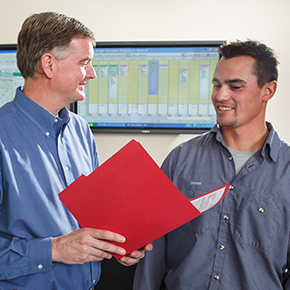 We take pride in delivering superior customer service and competitive pricing for all of your HVAC needs. We’re on call 24 hours a day, 7 days a week, and our innovative GPS technology and dispatch system mean that we’ll respond to your service call within 2-4 hours. Have a service request? Visit our HVAC Service Center now! At Reitmeier, our goal is to save you money by maximizing the quality and life of your HVAC equipment. As HVAC systems age, so do their efficiency and reliability. Even the highest-quality equipment needs regular maintenance to keep everything running smoothly. Reitmeier provides HVAC preventative maintenance that helps you detect warning signs and make minor repairs before major problems and costs arise. Learn more about how preventative HVAC maintenance can extend the life of your HVAC equipment and save you money. At Reitmeier, our dedication to quality and customer satisfaction is unmatched. We know that an empowered workforce is the key to extraordinary customer service, and we ensure that our team has the education and expert training to create the right solution, the first time. Our skilled HVAC technicians continuously improve their skills through ongoing training, giving you peace-of-mind with the knowledge that your work will be done right the first time. We have the highest level of expertise, resources, and professionalism of any HVAC service provider.